There is no doubt to say that Lynda is a popular online learning platform with a large user base from various organizations throughout the world. They offer skill development classes for technology, software, business development and many other creative topics. Lynda is dedicated to help learners to achieve their professional and personal goals with ease. This platform is active from last 20 years and currently more than 10000 organizations are taking benefit from its online training system. Tutorials are available in four different languages as Spanish, German, French and English so that users can learn without any language bar. Udemy is a well known online and global marketplace for teaching and learning so that students can boost their skills in various fields. It assists learners to achieve their long term goals by focusing learning on specific skills and interactive classes. 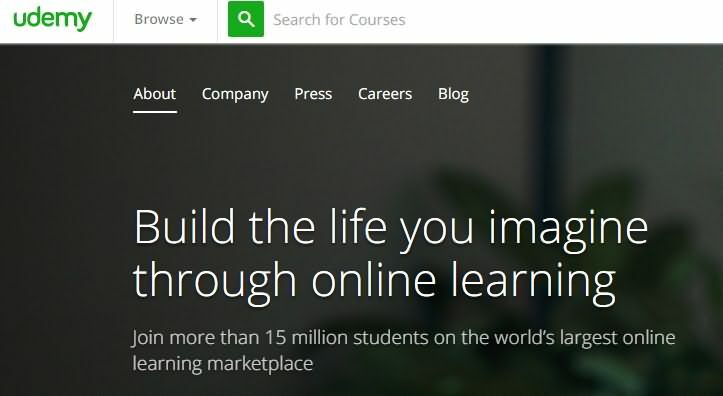 In the extensive content library of Udemy, the registered users can find more than 4500 courses from expert trainers. The course material is often provided in form of interactive videos but few topics are also covered with additional articles. Users are also able to access Udemy courses via a user friendly mobile application. Learners are able to avail active support from professionals of Udemy through their official website and mobile application. Udemy: Some of the popular course topics of Udemy platform are related to entrepreneurship, business, arts, academics, health, fitness, language, technology, music etc. Users will be able to access more than 42000 courses on this online learning platform. And the best part to know is that they teach in 48 different languages. Lynda: This site is popular for creative topics like photography, creative writing, graphic design etc. The total number of available courses will be somewhere around 5467. Most of the courses are taught in general English language whereas people can also select topics un three other languages: Spanish, French and German. All courses on both these platforms are of few hours whereas videos use to last for few minutes with interactive content. In case of Lynda, most of the videos are of duration ranging between few seconds to few minutes only; whereas, Udemy platform follows a standardised video duration between 2 minutes to 30 minutes. Most of the demo lectures on Udemy are below 2 minutes duration. Both these online teaching-learning platforms focus on courses whose difficulty level ranges between basic to medium. In case of Lynda, you will be able to access much deeper content and users can also learn the skills to become a specialist in particular field with the help of Lynda learning path. Udemy online learning academy does not provide any certificate to learners but if you join courses with Lynda then you will be able to get a certificate for your skill development. Udemy: If you have a course and some valuable content related to it then you can easily get enrolled on Udemy platform as a trainer or instructor. The professionals on Udemy will check and approve your course and then it will be available to learners if found of appropriate quality. This platform provides an open access to instructors from every corner of world and there is a very specific and easy to understand plan for course requirement, video format and revenue share. Instructors can upload their courses themselves whenever needed. Lynda: It is little complicated task to become an instructor with Lynda because this platform is more specific about skills and qualities. You can fill a form online and send a video lecture to Lynda experts. 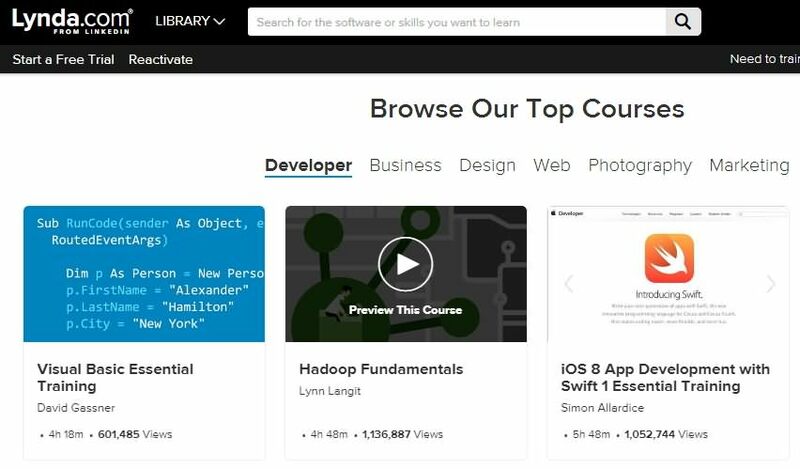 People will not be able to know about any specific process to become instructor on Lynda. As soon as your application will be processed you will come to know about the rules ahead. Udemy: There are few free as well as few paid courses on Udemy. In case if paid course, $5 is a common increment between $20 and $200. It is also possible to avail special discounts from author’s side. Before you spend money to buy any course on Udemy platform, you will be able to access few of their videos for free. Lynda: Users are able to access a free trail on Lynda for ten days. Once your trial is over then you can select any specific plan for yourself. The payment for monthly subscription is somewhere around $19.99 per month whereas if you want to become a premier member then you have to pay $29.99 per month. Learners can also make selections for group course plans. There is no doubt to say that Udemy offers a flexible learning platform where you can easily choose your courses. Users need to pay only for what they wish to learn but the sad part is that quality of course content on Udemy use to vary by large extent. On the other side Lynda offers monthly and annual learning plans. Once you are a member of Lynda then you will be able to access all courses on this website library. All videos are of very high quality and if you are a routine learner then definitely you will find so many useful lectures on Lynda.com.